So, I feel like this book was written specifically for me. Women dressed as a man? Check. Marriage of Convenience? Check. A child AND an unplanned pregnancy? Double check. Seriously, it felt like Jae took all of my favorite tropes and wrote them into an amazing 465 page story. I absolutely loved everything about this book: the plot, the characters, the writing, the length. I could not put this book down! I finished this book in 1 day, and I finished the sequel the next day (review to come). I feel like I’ve been pretty vague about everything in this review, but I really can’t help it. I loved this book so much, I don’t have the words or the time to describe all the things that make it so great! I typically don’t enjoy Westerns, but wow did I ever love this book. Luke and Nora are an amazing couple with an achingly slow build to their relationship. I can’t recommend this book enough. I have always loved historical fiction. The problem is that it’s very hard to find a good historical fiction novel in lesbian fiction. My search is over. This book, as far as I’m concerned is perfect. It has all the elements that I feel need to be in this type of book. The characters are engaging, the story line grabbed me from almost the first page, the setting is wonderful and I just loved the book! Upon completion, I had an overwhelming urge to go find my copy of the Oregon Trail game. I loved this book so much, I read it twice. I don’t normally fall for historical fiction but this one got me and refuses to let go. I have now read everything about Luke and Nora I can get my hands on. Their circumstances we know are realistic for those times, and their choices have been proven by history to be credible, so this book gets extra points for that! I liked the agonizingly slow burn, even though it did drive me a little batty at times. But Luke and Nora are so sweet together, and individually such well-rounded characters that I forgave Jae for teasing us. This is such a great book, I’d give it eight stars if I could. I was already a fan of Jae’s before I read this book, but now you can count me among the read-anything-about-Luke-and-Nora club! 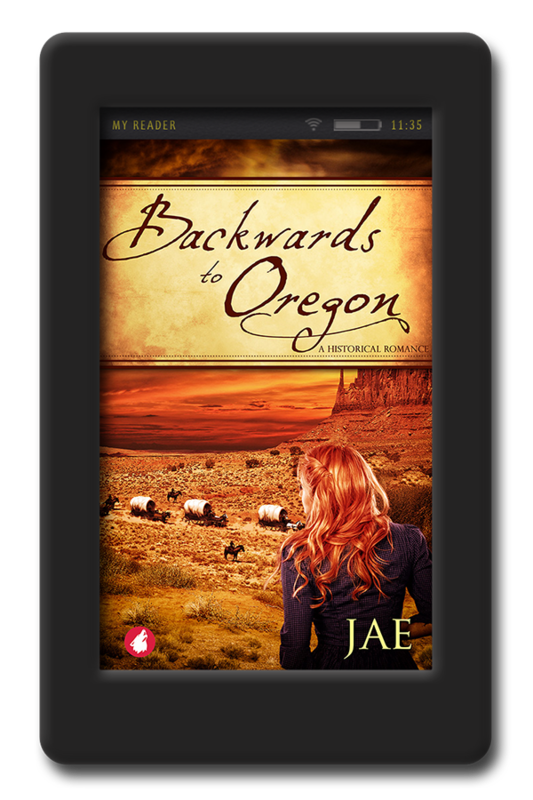 Let me start by saying that I don’t read that many historical books or at least I had not before I was suggested Backwards to Oregon by Jae. It only took me a few chapters to get captivated by the mystery that is Luke Hamilton’s character; this handsome, reliable, respectable man standing in the back of this ocean of male prospects. Luke is THE gentleman who could melt probably every ladies heart, or at least it did melt mine. Nora on the other hand is a more broken character. Her life has been filled with disappointments and Luke entering her life doesn’t necessarily mean positive things to her. 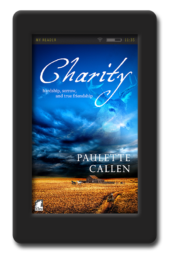 Will the time spent together help her change her mind on herself, her own wishes, needs and abilities? Will it even change her opinion on love? It might have taken me a few chapters to get myself situated in the time frame and where it was all taking place, but once I got it all figured out, I couldn’t stop myself from reading it. The chapters titles both situate you in the time and space, which helps a lot. The story is so well structured that you will easily do as I did, forget all responsibilities for an entire day only because I couldn’t manage to drop this book. This is the 3rd book I’ve read from Jae but I still get impressed by the quality of her writing in every book I get my hand on. The author is talented and can write pretty much anything she wants, and still manage to do it with talent. If you are wishing for a fast romance, this might not be the best book for you, but if you are looking for an intricate, complete and mesmerizing love blossoming between two characters, happening in years when being in love with a same gendered person was a sin; this will be it. You will spend more than 100 pages trying to keep Luke’s identity a secret, while struggling for her to tell Nora who she really is. I would definitely recommend this book to anyone and I look forward to reading the sequel. “Backwards To Oregon” is one of my top 3 most favourite lesbian fiction. 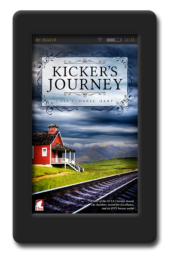 It’s brilliantly written, the story’s told so beautifully, so sensually, so realistically, you can’t help but go through the treacherous, unforgettable journey that Luke embarks on along with Nora and her daughter, Amy, whom she took on as her fake wife and child. Unbeknownst to Nora that Luke’s actually a woman, she carried on with Luke like a married couple because both of them could give each other what they wanted in life – freedom. So the marriage of convenience worked out both ways. But, of course, all good things come to an end as Luke’s “secret” is discovered! And the page-turner of a drama continues…. READ IT! Luke & Nora’s relationship, from strangers to friends to ultimately lovers, was structured with such sensibility & warmth, in the midst of a brutal, treacherous journey & ordeal, that you’d feel their friendship and romance simmer through, then burn slowly until it finally burst into flames. The chemistry between these 2 wounded souls was incredibly organic, natural and oh-so sensual, as they got to know each other better every day. Their journey was developed organically so their growing feelings for each other was utterly palpable on the pages. So realistic! I especially LOVED Nora & Luke’s respective inner monologue, which I felt was vital to furthering their story. Jae letting us into BOTH of their psyche allowed us to understand how they were feeling, all the inner struggles that both of them were going through, so when they eventually accepted their undeniable love and kinship for each other, we, as readers, were right there with them, emotionally. And let’s not forget Luke & Amy’s relationship! Oh! So innocent, so adorable & truly heartwarming to read – Luke, from not even knowing how to carry a child to becoming a proper parent so naturally, always protecting Amy from harm, playing with her, telling her stories, whereas Amy, on the other hand, started bonding with Luke, imprinting her as her father. In essence, Luke, like Amy, is an innocent creature in many ways. So it was such a delight to read how they were figuring out each other along the journey! Simply adorable! This book is truly a classic. 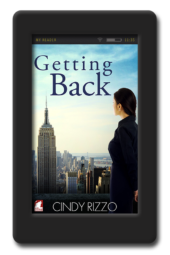 It’s a resounding MUST-READ for all romance readers. Jae’s masterful storytelling & rich development of the characters produced a spellbinding love story that needs to be read to experience its beauty. Utterly sublime. 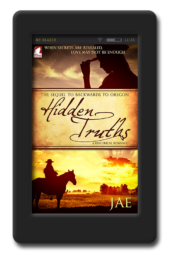 Then, when you’re done with this 1st book, you simply MUST continue with “Hidden Truths,” its sequel.